As the mobile application industry continues to grow and more individuals start incorporating mobile applications within their daily lives, one new sector in the mobile application industry which has been rising is the ability for mobile application developers and mobile app development firms to develop mobile applications which allow users to capture bio-metrics of themselves, other individuals or their pets. Given that fact that many individuals carry their Smartphones on them for a majority of the day, mobile applications within a smartphone is the best way to capture habits of individuals and how they operate throughout their days. A common example of a mobile application which has been developed to capture an individuals bio-metrics are mobile applications that track the number of steps or miles an individual has walked in a given day. Using the ability of location detection and GPS, mobile applications can capture an individuals location at a given time and follow the path he or she takes to their destination and then rely via the mobile application how far an individual may have walked, an estimated number of calories an individual may have burned, how long it took that individual to walk to their destination and much more. Capturing this information via mobile applications will allow users to track their daily habits and learn much more about themselves than before. 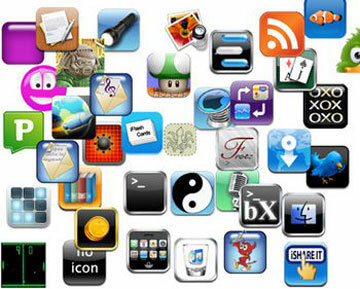 Read more about advancement of mobile apps development. As the mobile application industry continues to grow and become an integral part of peoples lives, it will only be a matter of time before mobile applications will be able to capture important health information on individuals such as their breathing patterns, sleep patterns, and so forth. This information will be key to allowing doctors learn more about an individual and how to treat them. The mobile application industry has a bright future ahead and as we continue to advance in mobile app development, our society and world will continue to learn more about ourselves and the ways to improve the way we live. How Smartphones are changing The Way of Paying Bills at Restaurants?